While Under the Care of Another? Children have accidents. It seems like they are always getting scraped or bruised. However, when a child is seriously injured as a result of a preventable accident due to the negligence of another person or the daycare center charged with supervising and protecting him or her, the consequences can be financially and emotionally devastating for the child and the parent. Due to the extensive rules and regulations, including building codes, staff-to-child ratios, labor laws, safety regulations, and licensing requirements, that public and private daycare centers must adhere to, it seems nearly impossible for a child to suffer a serious or catastrophic injury. If your child has been grievously injured as a result of the neglect or wrongful action of a daycare center employee, contact us right away. We offer a complimentary initial consultation to discuss your claim with an experienced attorney. If your child’s injuries exceed minor harm, let us help. 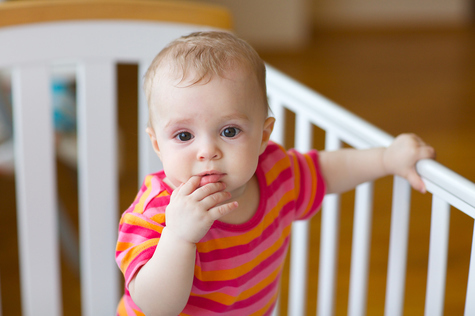 Did a Daycare Center Leave Your Child Unattended, Resulting in Injuries? There is no excuse for your child to suffer a serious injury or death while under the care of those who you are specifically paying to provide the service of watching over your child in order to keep him healthy and safe. If an injury occurs, daycare center employees are required by law to immediately report the incident to you. If your child has been seriously injured and you believe that someone else was negligent or otherwise at fault, contact Angotti & Straface Attorneys at Law L.C. at: (304) 292-4381. If we determine that you have a case, we will go over your legal options to hold the daycare center accountable for the actions of its owners, management, and employees. By proving liability, we will aggressively pursue relief for the medical costs and damages that you have incurred as a result of the injury. We offer personalized legal representation for injured victims in Charleston, Huntington, Parkersburg, Morgantown, Wheeling, and throughout West Virginia.